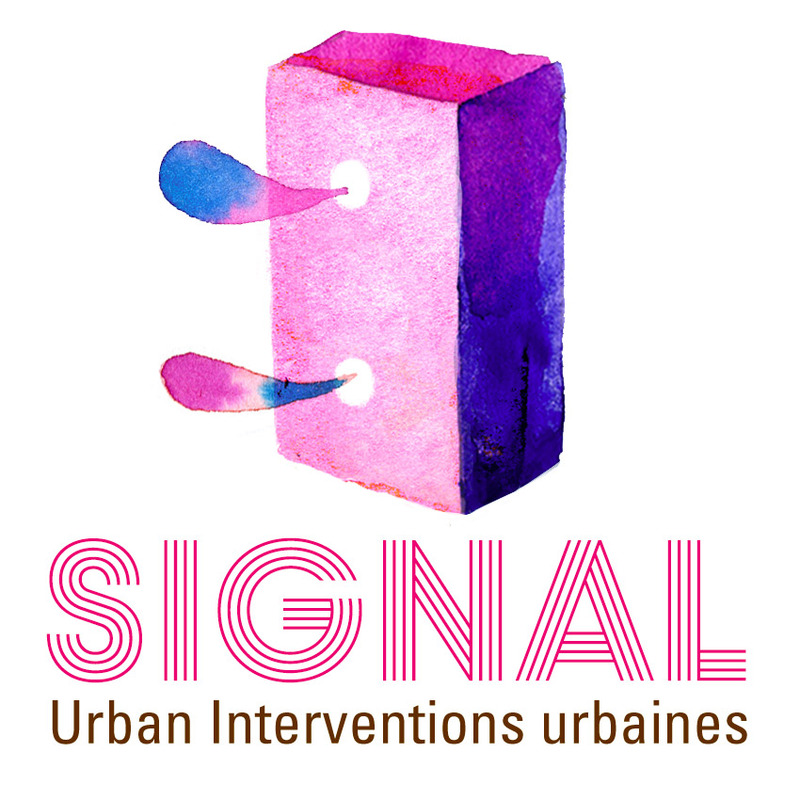 SIGNAL is back: In addition to offering debates and workshops around practices and experiences of living art in public space worldwide with its Summer University, it also features a programme of artistic actions addressing Brussels’ urban fabric. For the programme of Urban Interventions, click here! The Summer University gathers artists, cultural operators, thinkers, social workers, urban planners, cultural civil servants and political representatives... from here and elsewhere, all passionate about the future of the City. This year, issues of exclusion and social justice lie at the core of artistic practices which have been working at putting back at the centre of political, social and artistic discourse, bodies that have generally been put aside or excluded. Fiona’s collaborative practice is built upon a unique durational approach to engaging personal stories, where lived experiences of power and powerlessness transition from private to public through phased creative engagements, negotiating new sets of power relations. In her afternoon session, Fiona will first deliver a presentation about her durational practice followed by a workshop exploring the politics of storytelling and the power relationship between voice and listening. Catherine Jourdan, psychologist and documentary artist, has led a project for several years: cartographic documentary. Its name? Subjective Geography. It is all about highlighting a sensitive geography, perfectly accurate or inaccurate, independent, personal and collective, and make it public through a map which will then be printed and made public in the city communication spaces. Catherine Jourdan also works as a clinical psychologist and divides her time between clinical listening and documentary practice. The workshop will give the opportunity to present uses and visions of the City which have been developed during the workshops of Géographie Subjective. 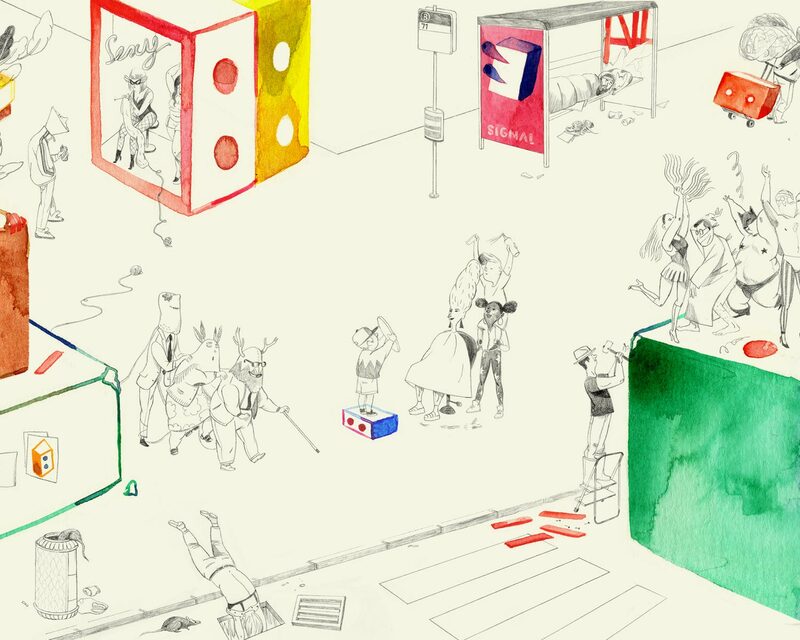 What is the image of the City from the perspective of children, jobless, wanderers and other creators of those maps ? We will widen our perspective to discover another cartographic portrait : the wandering. Finally, this workshop will be the occasion to build an ephemeral critical discourse around the following hypothesis : what if Géographie subjective was a « socio-cultural symptom » ? As curators and cultural animators leading a residency program for artists and urban researchers from Berlin, in the city of Warsaw, we would like to present the topic of artistic practices dealing with the human body, from the perspective of our work with our residents – 'nomadic bodies', 'moving bodies'. These are as well bodies, that do not contribute to the production of capital – living on the constant move, being financed by international cultural exchange programs. What the residents do produce is a knowledge and experience being shared among the local communities, often from poor or revitalized and post industrial areas, with whom they are working during the residency stay. The international net of artists-in-residence gather together people with different backgrounds, who’s motivations for traveling and taking part in exchange programs differ. They travel to gain experience in their artistic or a curatorial practice, but also because of economic reasons. Being strangers in the city, they learn from the inhabitants, and discover the 'layers' of the city, invisible for locals, for whom their environment is even 'too familiar'. Last but not least, they develop their own strategies of working with local communities, which is anoother very important part of research in our residency program. The workshop will focus on curatorial practices of International Festival of Contemporary Arts - City of Women, a platform which draws the attention on the disproportionate representation of, and participation of, women in art and society in general. Every Festival’s edition is dedicated to a main topic of artistic, cultural or socio-political relevance, introducing different feminist theories and practices relevant for social discourse. In line with the festival mission, we have presented and promoted through the festival platform many different stories, offering viewpoints from women coming from many varied cultural milieu that are all too often ignored, whilst drawing attention to the vision and provocativeness of women's creativity and ideas. By addressing contemporary issues surrounding women, as well as some broader socio-political phenomena that each festival programme has been focused on, we have reflected on the necessity of solving burning issues, such as different forms of discrimination, sexual, class and race inequality, racism, stereotypes, the production of highly questionable historical memory, the negative effects of transitions and transformations in the socio-political systems, the issue of surveillance, environmental protection, ageing, the visibility of women in public spaces, unpaid, underpaid and invisible labor, different forms of production of subjectivity and the precarious working etc. These and other relevant questions have been investigated from different perspectives of both theory and practice and through different media and aesthetics. Under conditions not always favourable of the Festival, we managed to establish and maintain a trans-disciplinary event that every October populates different locations in Ljubljana with the works of women active in the fields of art, theory and activism. Public spaces and institutions, spaces of NGO’s as well as autonomous and alternative spaces become a temporary City of Women. The Guts workshop will explore inner processes of the site-oriented performance Gutter Matters, by val smith. The queer, somatic and choreographic methodologies of this work will be embodied, investigated and discussed to reconsider a politics of the social body in relation to our contextual surroundings. In particular we will experiment with an expansion of default modes of perception, thinking and feeling. This workshop will focus on the experiences of LGBTQ+ bodies in different public spaces, asking if and when presence can be a form of protest. We will explore the idea of walking through urban landscapes as a subversive act and I will present research from sharing Walking:Holding across the world for the past five years through an intimate recorded lecture. 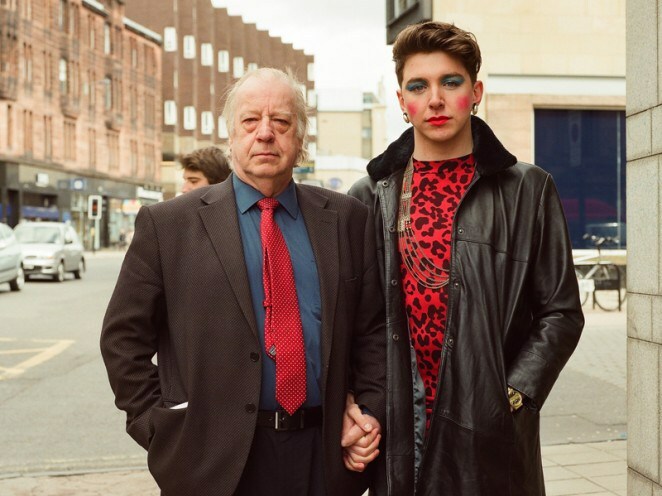 Walking:Holding is a provocative, experiential performance that involves one audience member at a time walking through the city holding hands with a range of different local people on a carefully designed route. It provides an investigation into the experience of public space from a range of different perspectives with a focus on queer or hidden lives, and explores the provocation of different displays of intimacy in public. It has been shown in many towns and cities across the UK, as well as in Hong Kong, Belgium, The Netherlands, and Portugal. Infecting the City is a public art festival that Pather curates in Cape Town, South Africa. Cape Town was the ideal apartheid city and twenty-one years after democracy, remains largely segregated since land was not redistributed. So black townships and squatter camps remain geographically inscribed as they were at the time of apartheid. Several artists performing at the Infecting the City Festival therefore create public art interventions that wrestle with this continuing legacy of otherness, race, centre and periphery, displacement, invisibilities and poverty. Beginning with an audio-visual introduction of some of these works by several artists from South Africa as well as other parts of the Africa, Pather will lead a physical workshop around the notion of Blind Spots: an investigation of displacement, belonging, visibility and invisibility, of being witnessed or overlooked. Pather employs the use of games, ritual in performance, formal as well as interrupted choreographic principles, improvisation and group dynamics to develop languages of performance that explore both the personal and the political. The workshop will culminate in improvised interventions in appropriate sites. As in previous artistic projects led in Sweden, Spain, Cuba and Austria where we have achieved to subvert the Migration law getting positive results for the collaborators, the workshop in Brussels intends to look for cracks in the Belgian Aliens Law. We will start by analyzing some of these projects and then we will devise together an artistic strategy that could be applied on the Belgian context, in order to challenge the exclusionary policies since the law and the moral victimizing prevailing in Europe. In this workshop, Foradelugar will discuss about the seed of their project "King Gaspard"; the original novel, inspired in the social context of the author, Gabriel Janer Manila, who relates the immigration of his city, Majorca, in the 60’s, put in relation to the actual context. They will explain what is their intention by developing this project in different countries, adapting the performance to different contexts, doing workshops with local people who tell us their own personal experiences. Get your puzzle pieces at CC Jacques Franck between 13:00 and 17:00. Prior to the ICA, she was responsible for national policy and provision for Performance Art and interdisciplinary practices at the Arts Council of Great Britain. She contributes articles on performance to a range of journals and publications and gives talks and presentations on performance at festivals, colleges, venues and conferences in Britain and internationally. After a master of philosophy at the University of Paris X Nanterre in 2002 and a short teaching time, Catherine Jourdan moved towards artistic practice. Sculpture, installation, video, performance... to invent trajectories. The last artistic project she has been leading since 2009 is called “Géographie Subjective” (Subjective Geography). Cahterine Jourdan also works as a psychologist, she shares her time between clinical listening and documentary practice. Joanna Turek is a cultural anthropologist, coordinator and cultural manager. In recent years she has cooperated as a coordinator and producer with several foundations and institutions based in Warsaw and Berlin dealing with projects concerning visual arts, design, architecture as well as socio-educational activities, including international projects. In 2009-2012 she was engaged in the works of the Institute for Public Space Research at the Warsaw Fine Arts Academy, where she has co-led series of discussions and workshops on the topic of urban space in cultural and social context and have organized and coordinated projects and events in the open city space in Warsaw. She is engaged (in theory and practice) in the work on the widely understood public space, combining her interests in institutional critique, artistic practices in social and political context and the role of cultural and creative capital in local and international projects dedicated to urban space. Ewelina Bartosik is a cultural anthropologist, cultural animator and educator engaged in various projects dedicated to children and young people. In recent years she was engaged in the works of, among others, Museum of Modern Art in Warsaw and the Forum for Dialogue Among Nations. In 2012 she has worked on the first polish publication dedicated to the public art collection in Warsaw, “City of Warsaw Public Art Collection”, by one of the leading Polish foundations – Bęc Zmiana New Culture Foundation. She also coordinated international projects, worked as a co-curator of Plateaux Festival in Warsaw dedicated to new media. Currently she works with several non-governmental organizations and institutions working in the field of art and culture, public space, local communities non-institutional education. Lise Duclaux lives and works in Brussels. Lise Duclaux interferes in our ways of being, of looking at and of understanding what surrounds us. The choice of the living is her starting material. She cultivates and looks daily at life and works at grasping its poetic and fragile dynamics. Writing, performance, typesetting, drawing, video, photography and gardening are her mediums. From one project to another, she recycles and adapts its features, her works are constantly changing feeding each other to create half-real “zones of poetic intention” annotated with literary quotations and diverted scientific information. In 2014 she created the Observatoire des simples et des fous (Observatory of the simple an the mad) in a field, ellipse of 845 sqare meters full of wild and medicinal plants with a chestnut tree in its center, adjacent to Le Carrosse, a home for adults with mental disabilities. An invitation to experience a longer period of time. Opened to the public in 2015, from April to October, accompanied by an artist's book and punctuated by workshops and lecture-performances. Chris Straetling, Washington D.C. 1960, lives and works in Antwerp since 1986. After being engaged in the art strike call of 1991* Chris Straetling, occasional facilitator of alternative art spaces (inexistent, AK-37, Factor 44... currently Bureau Gruzemayer and it's interdependent dependencies) and user of multiple identities, has turned his attention progressively to participation-projects, collaborations and interventions with no specific relation to established art circles. Engaging in non-art and anonymous interventions (along with more classic formats) while also commenting and illustrating collaborative efforts of all kinds. After an attempt to engage in a long-term project by Lise Duclaux offering a measure of autonomy to the pumpkin family (prematurely abandoned due to the closure of the Herman Teirlinckhuis museum in Beersel in 2013) he has been enlisted as subjective documentalist in her current work L'Observatoire des simples et des fous. Rachele Borghi aka Zarra Bonheur is a Geography lecturer at the Sorbonne Paris IV University and an academician pornactivist. Currently working on performative transgressions in public space as a reaction to imposed standards and on the body as a place, laboratory and tool of resistance. Her research focuses on the visibility of standards in public and institutional spaces (including university), on strategies for breaking them and on contamination spaces between academics and activists. Her contacts with queer groups directly questioned her field practice, her positioning, and raised the urgency to experiment approaches to not reproduce the binomial theory-theoretical production / practice-militant production. Together with Silvia Corti aka Slavina, she founded the group Zarra Bonheur, project which look to convert scientific research into performance and to contaminate places through the transformation of the theoretical corpus into a collective body. Rosana Cade is a queer artist based in Glasgow, Scotland. For her, queerness means rebellion, imagination and celebration. Rebel passionately against anything that tells you how to be normal, wildly imagine new ways of being/doing/thinking/seeing/moving, celebrate ferociously all those who are under celebrated. She is currently artist in residence at the Marlborough Theatre in Brighton, where she is experimenting with trans identities, public space, and exploring the relationship between capitalism and gender through a transformation of her body. Rosana received the Athena Award via New Moves International for ‘Walking:Holding’ in 2011, which has since been shown extensively across the UK and internationally, and continues to tour across the world to great acclaim. val smith is a choreographic artist based in New Zealand whose work investigates the body as a politically complex network. The practice of the artist nvolves experimentation with perception, affect and participation and is intrinsically connected to feminist and queer theory. Drawing on somatic and improvisational research processes, val produces collaborative and solo performance works for various contexts aiming to create immersive, critical and socially engaged environments. Aurore Guieu is a feminist who is particularly interested in issues related to harassment and sexual and reproductive rights. She is one of the founding members of the rebel.lieus group (safe, equal, accessible public spaces for all). Ingrid Vanderhoeven is a filmmaker, performance director, documentary producer and activist in many areas ranging from eco-feminism to decolonialism. She is one of the founding members of rebel.lieus, a coordinator at My Choice Not Yours (p.a. platform for people’s individual freedom of choice) and one of the originators of the “chalkwalk”, a street intervention reclaiming public spaces. “Having been involved in the anti-street harassment movement in Belgium for several years through Hollaback ! in Brussels and Ghent, we have now decided to reassemble into rebel.lieus, and shirt to a more grassroots and collective kind of organization to better address and respond to the issues and realities of our local landscape. Countless stories about street harassment have revealed the daily threat and violence that occurs when people pass through or assemble in public spaces. While prompting a conversation on street harassment was an important step, we now want to widen the conversation on harassment to include public spaces more generally, and to start a conversation on how to make public spaces more safe, equal and accessible for all. This can only be achieved by taking into account the intersections between different forms of oppression. And therein begins our inifesto : an initiation manifesto to set in motion a content change for the anti-street harassment movement in Belgium, as well as rethink our own ways of organizing. Saskia Sassen is a sociologist and economist, known for her analyses of globalization and international human migration. She is Robert S. Lynd Professor of Sociology at Columbia University and Centennial visiting Professor at the London School of Economics. Her new book is Expulsions: Brutality and Complexity in the Global Economy (Harvard University Press 2014) forthcoming in 2016 in both French (Gallimard) and Dutch (ACCO). Her books are translated into over 20 languages. She is the recipient of diverse awards and mentions, including multiple doctor honoris causa, named lectures, and being selected for various honors lists. Most recently she was awarded the Principe de Asturias 2013 Prize in the Social Sciences and made a member of the Royal Academy of Sciences of Netherland. Núria Güell’s work reformulates and deals with the limits of legality, analyzes ethics practiced by the Institutions that govern us detecting abuses of power committed through the established legality and hegemonic morality. Flirting with the established powers, the art world privileges and the complicity with different allies, all of them are the resources on which Núria bases her artistic operations that, dissolved in her own life limits, are developed as disruptive tactics in specific contexts in order to subvert established power relationships. Her work has been exhibited in many places around the world. Jay Pather is Associate Professor at the University of Cape Town where he directs the Gordon Institute for Performing and Creative Arts (GIPCA). He is also Curator for Infecting the City Public Art Festivals and Artistic Director for Siwela Sonke Dance Theatre. He has collaborated with visual artists, architects and urban planners, since 1984, taking his inter-cultural performances into public spaces and working with the architecture of Johannesburg, Durban, London, Zanzibar, Amsterdam, New York, Barcelona, Mumbai, Muscat, New Delhi, Copenhagen and Cape Town. His recent works include Blind Spot, a city walk based on the experiences of immigrants. Recent festivals and conferences for 2014-2015 that Pather has convened include Infecting the City in Cape Town and Mbombela, the GIPCA Live Art Festival and Reimagining Place, a symposium on urbanism and public art practice. In 2014 he was appointed as member of Jury for the International Award for Public Art. Foradelugar is a company that works almost exclusively in unonventional spaces with multidisciplinary resources. Their practice questions the audience and its context. Far from conventional and rigid forms of theatre, they conceive spaces where they work differently in order to include and engage physical and human territory of the places where they are. Their projects can be participative and leave an important space for the imagination of those who take part in it. ATTENTION: Please mention in the section "Comments" which workshop you would like to attend in the afternoons!